There isn’t anything much better than being recognized by your peers for being outstanding in your chosen field. Just this past June at the Holstein Association USA’s Annual Convention, Greg Andersen was awarded the 2014 Distinguished Young Holstein Breeder Award. 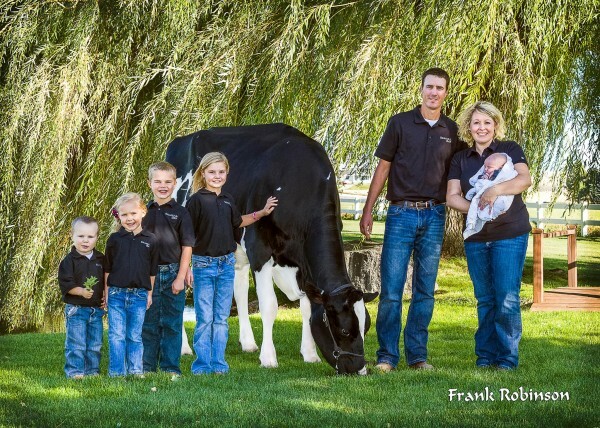 Greg, manager and one of the owners of Seagull Bay Dairy, American Falls, Idaho, would be the first to acknowledge the tremendous support he receives from his family as he carries on the family tradition of breeding outstanding Holsteins. (For more on Seagull Bay Dairy and the Andersen Family read Charting the Right Course at Seagull Bay Dairy AMMON-PEACHEY SHAUNA – 2012 Golden Dam Finalist and JOHN ANDERSEN – COMMERCIAL and PEDIGREE – Building a Field of Dreams) The Bullvine decided to dig deeper and find out more about how Greg sees breeding Holsteins in the future. We are confident that you will find Greg’s thoughts interesting. Seagull Bay Dairy, established in 1980 by Greg’s parents Alan and Norma, has a reputation for using genetics and management to grow their herd and breeding stock sales. Seagull Bay (Read more Charting the Right Course at Seagull Bay Dairy) has been awarded both Progressive Breeders Registry and Progressive Genetic Herd awards on numerous occasions. College educated, Brigham Young in Animal Science and Business, Greg became the manager at Seagull Bay in 2006 and has moved the herd ahead rapidly to the point that only very highly rate bulls are used and breed leading heifers are the focus for producing embryos for sale and the herd’s next generations. The first family for Greg is his wife Gwen and their five children Lydia, Wyatt, Amy, Dallin and Corbin all showing great interest in their education, community (church, 4H and service groups), farm and Holsteins. Greg has three brothers involved in the dairy industry. Ben operates the 1600 cow commercial milking herd which includes both crossbreeding and females used as ET recipients. John manages Double A Dairy and with his family, owns Triple Crown Genetics (Read more: JOHN ANDERSEN – COMMERCIAL and PEDIGREE – Building a Field of Dreams). And Brandon, manager for the Double A Dairy calf ranch, also breeds Holsteins under the Andercrest prefix. No doubt when Alan and Norma’s family hold a celebration, discussion on how to return the most profit from dairying could be lively. Greg expands upon the above slogan as follows “I believe that cows with moderate stature but adequate width and strength and the ability to produce high total pounds of protein will be desirable and profitable for dairy businesses throughout the world for many generations. Calving ability, udder quality and fertility will, of course, also be imperative. The modern Holstein, as well as the cow of the future, will need to be able to produce large quantities of milk solids while still maintaining healthy body condition.” Seagull Bay, like many many other herds, sells their milk for cheese processing and so their farm gate price is very dependent upon the pounds of protein shipped. As a result, PTA’s for protein is important for the males and females they include in their breeding program. Simply stated the history of Seagull Bay has been to purchase high genetic females and develop families around them. Two cows that come quickly to mind are Lynmead Celsius Minnow and Ammon-Peachy Shauna. Both families have produced outstanding daughters and sons. Combining both these families resulted in the popular and highly ranked sire, Seagull Bay Supersire. Shauna in the front pasture at Seagullbay this past spring. 5 years old. Due again this winter. 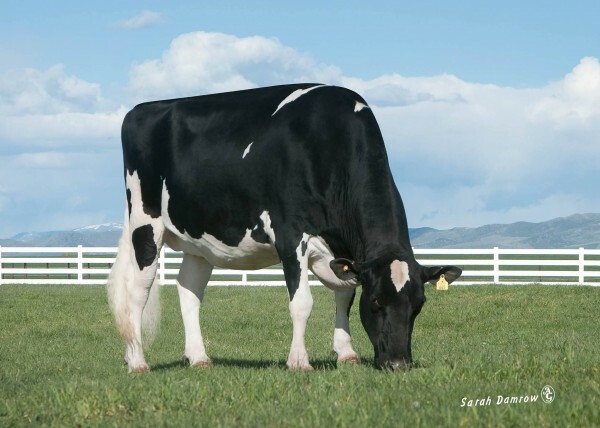 Over the past six months Greg has used seventeen sires, all genomic rated, in his ET program. Three are Seagull Bay bred – Supersire, Silver and Secretariat. Six are Mogul and five of his sons. One is the breed leading gTPI polled sire, Powerball-P, and the remainder are leading sons of other high genomic sires. The averages for these seventeen sires are very high and are sure to help keep Seagull Bay as a prominent name in Holsteins. Note the very high CM$ average. Seagull-Bay Silver tops the group with 2621 gTPI and 3.28 PTAT. 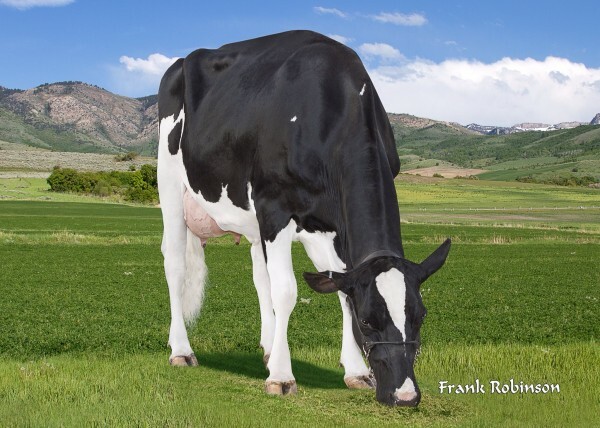 Uecker Supersire Jospuer is highest for fat + protein at 211 pounds. And MR Mogul Delta 1427 is highest for CM$ at 1115. At the present time, all the Seagull Bay donors are heifers. Their impressive averages are listed below. The leading lady of this group EDG Hallie Uno Heather with CM$ 935, 7.2 PL, 2.64 SCS and 2.4 DPR. Two of the eight are from the Shauna Family, and one is from Pine-Tree Dorcy Alexa II. So donors used in the past continue to contribute to the current Seagull Bay breeding program. Three of the current eight donors are sired by Uno, two by Supersire, two by Jacey and one by Mogul. It is clear to see why Greg was selected as the 2014 Distinguished Young Holstein Breeder when he provides thoughts such as the ones that follow. Greg Andersen takes a global approach to breeding and all aspects of dairying and how they will impact feeding our world’s growing population. Without a doubt, it can be said that Greg is a man on a mission to make this a better dairy world. 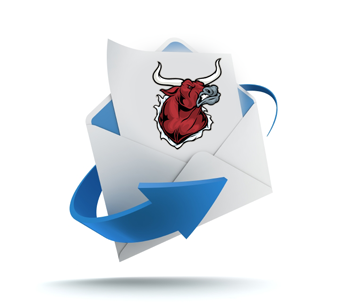 The Bullvine considers Greg to be the type of leader our industry needs.